Eurodollar is still being corrected. Possibly, market may reach correctional level of 78.6%. If pair rebounds from it, market may start growing up towards the next target, which is close to several fibo-levels at 1.3875. 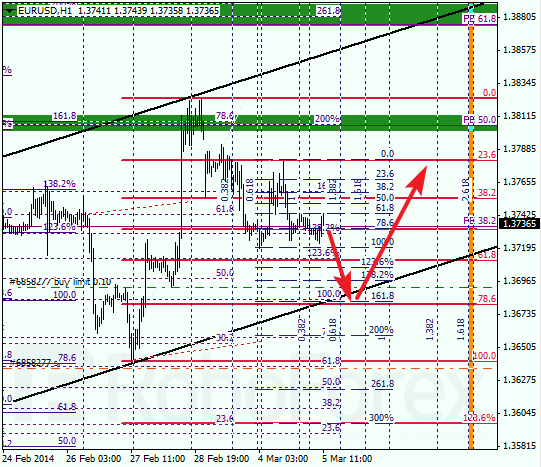 At H1 chart, pair is consolidating. During the day, price may fall down towards the channel’s lower border, where I placed limit buy order. 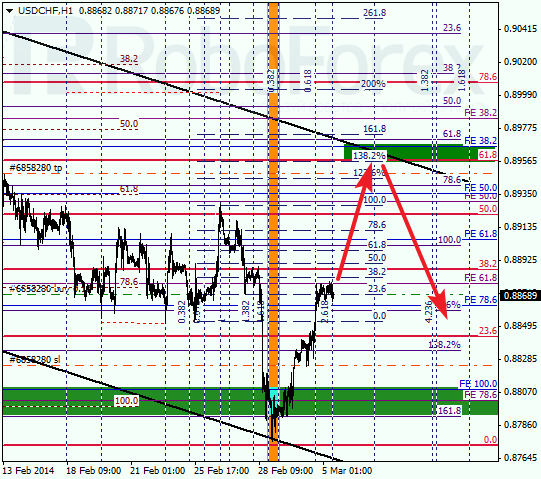 If later pair breaks the channel and level of 78.6%, I’ll close my buy order and open a sell one. Franc is moving upwards quite fast; new target of current correction is at level of 61.8% and the channel’s upper border. During correction, I opened short-term buy order with target at the above-mentioned levels. 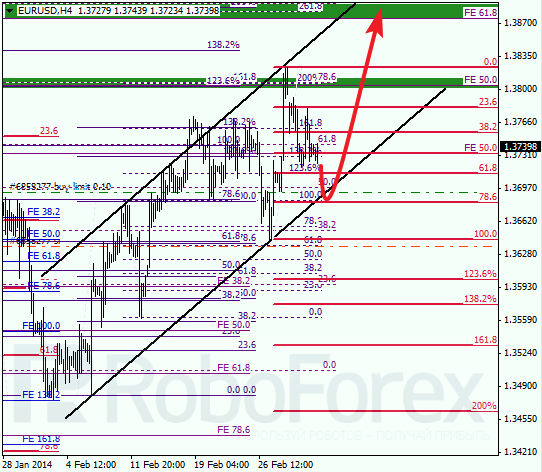 At H1 chart we can see, that price reached its lower target right inside temporary fibo-zone. Target of current ascending movement is close to several fibo-levels near 0.8960. If later pair rebounds from this level, I’ll open sell order.